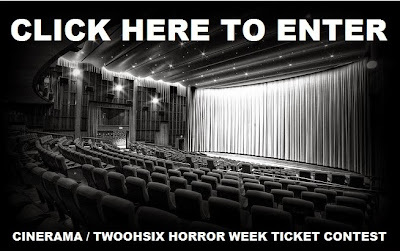 TwoOhSix.com: Win Free Tickets to the Cinerama Horror Week Festival! 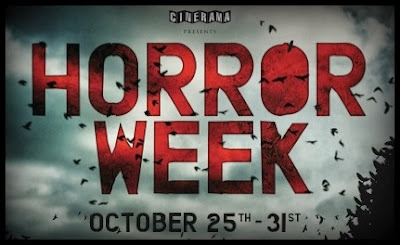 Win Free Tickets to the Cinerama Horror Week Festival! The Seattle Cinerama movie theater is about to kick off its first ever Horror Week movie festival and, to celebrate, we are giving away a pair of tickets to attend select screenings including The Shining, Alien, and a very special opening night event which will feature an appearance by the one and only classic horror movie icon, Mr. Bruce Campbell! For your chance to win one pair of tickets, just click the box below to send us an email entry with your first and last name, your email address, and TWO movie choices from the available options listed below. That's right, your entry gives you two chances to win tickets! Pop up blocker may prevent new window. Winners will be chosen at random and will be notified by e-mail. Winning tickets will be available in will call under each winner's provided name at the Cinerama box office the day of the show. Good luck! Title links go to each movie's IMDB page. CLICK HERE for a complete list of films and other festival info. 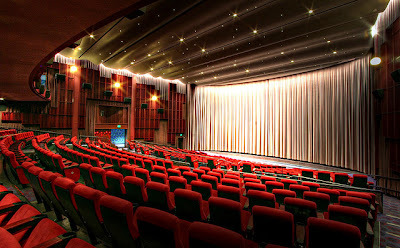 Visit the official Cinerama website for more festival information. TwoOhSix.com is not responsible for redemption or delivery of ticket prizes. 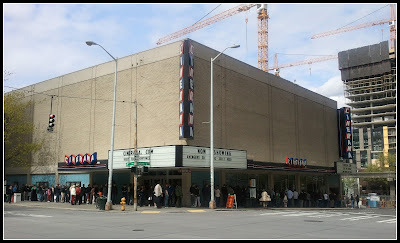 Winner may be asked to present ID at the Seattle Cinerama box office to receive tickets. Prizes have no cash value and can not be redeemed or returned for cash or other considerations. TwoOhSix.com will not use provided email addresses for anything other than to respond to contest winners and TwoOhSix.com will not sell email information to third parties.